Banking institution Barclays has issued a report to its trading clients about Verizon. In the report, Barclays says that Big Red plans on joining T-Mobile and Comcast by offering a premium, paid version of its Go90 video content app. Verizon subscribers who view content from the app will do so without having data subtracted from their monthly allowance. 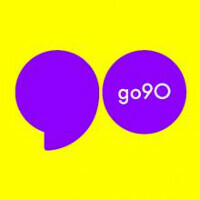 According to Barclays analyst Amir Rozwadowski, the premium Go90 offering will be launched in the first quarter of 2016. The current version of the Go90 app provides mobile video service directed at those 13-34. Verizon is currently running a promotion that gives away 2GB of data to its customers who sign up for the service. Of course, there is the question about whether this is a violation of net neutrality rules. Last week, FCC Chairman Tom Wheeler sent out letters requesting more information about T-Mobile's Binge On, which allows the carrier's subscribers to stream video from specified content providers without having the data used subtracted from their data cap. Comcast and AT&T were both sent letters from the FCC, as well. AT&T's "Data Perks" allows customers to receive extra data as a reward for viewing certain promotional videos. Comcast has a service called "StreamOn that allows subscribers to view video content without it being counted against their monthly data allotment. Barclay's Rozwadowski says that using its AOL subsidiary as a go-between to purchase buckets of data, Verizon will be able to work around the question of net neutrality. In addition, the premium version of Go90 will be available to everyone, not just Verizon customers. There is no word yet on how much Verizon will charge for a monthly subscription. Big Red will charge an arm and a leg... As usual!